You’ll be protected from rising electricity prices and blackouts, and gain certainty of supply with your very own battery system. Utilise the energy being collected while the sun is shining, and use it day or night – with a battery system you are covered all the time ! The sonnenBatterie is a high-tech storage system that has proven itself in thousands of households – every day. The combination of a PV system and a sonnenBatterie will allow you to cover about 80% of your yearly energy requirement with self-produced and clean energy. 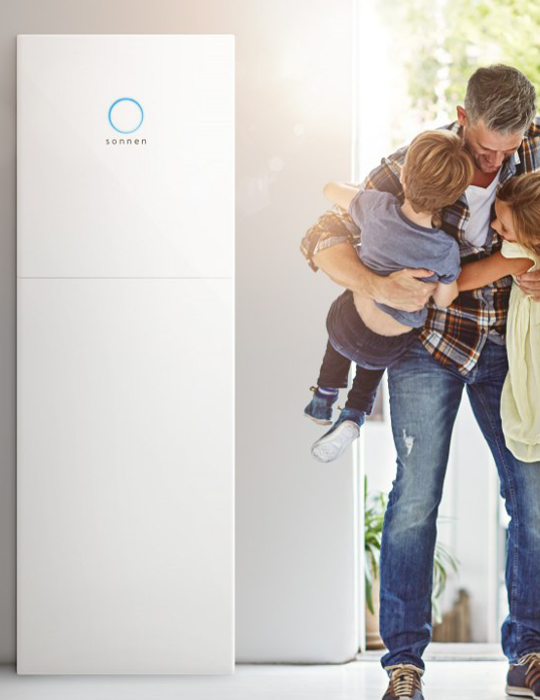 RIGHT NOW YOU CAN RECEIVE UP TO $6,000 IN SUBSIDY THANKS TO THE SA GOVERNMENT BATTERY SCHEME. Since your energy is being generated on your roof and not by some anonymous energy provider you are more independent than before. So take your energy future into your own hands and reduce your energy costs to a minimum. The decision for a sonnenBatterie is also a decision for the highest standards in safety and quality that “Made in Germany" stands for. Our friendly and experienced team are ready to talk with you ! I had one quote that bothered me – the sales person raised many red herrings regarding the other company’s choices which on further examination were either incorrect or simply not relevant. Another company went for a very hard sell and when told their quote was too high immediately reduced it by $2k. I found some were using old panels that had been superseded presumably bought in a job lot. Its a strangely stressful experience overall. We went with the company that did the most research for us and were straightforward and not pushy salespeople. They were the only company to use a solar camera to predict degree of shading effect. They offered several options ad gave enough help to make an informed choice. The installation team took less time to do the job than quoted without taking any shortcuts. They gave a good explanation of what the were doing and how the installed system would work. Overall it was a positive experience and outcome. The Salesperson was very helpful and spent a lot of time explaining the system and questions about various panels and inverters. The job was completed within a few weeks, the Installers were professional and clean explained how to work everything when the job was finished. Click here to fill out our simple application so that you can take part in your share of up to $6,000 subsidy toward your battery system.